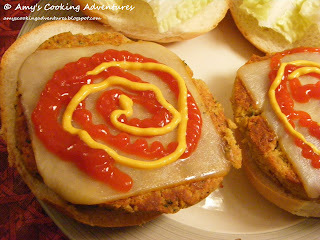 As promised, our next Lenten Meatless Meal is a vegetarian burger. Meatless burgers are something I never really thought I’d ever make. Honestly, they just didn’t appeal to me. That is, until I came across this delicious recipe for chickpea burgers. They were so good that even my meat & potatoes husband enjoyed them. #1 – Spice is your friend! The beans are blander than beef, but a nice kick of spice (green chilies and cayenne) make up for it! #2 – Don’t expect these to taste just like beef, because they are not! Again, the spices help. Also, be prepared for a texture difference. These are going to be a little crisp on the outside, but creamy in the middle. If you keep those points in mind, you can treat these just like a regular burger. Toss them on a bun with your favorite toppings and a side of chips or fries and you’re in business! In a food processor, pulse the chickpeas, green chilies and water until smooth, pushing mixture off the sides as needed. In a large skillet, heat the oil over medium-low heat. Cook the burgers for 4 minutes. Flip the burgers and cook for 2 more minutes. Add the cheese and cook until melted, about 1 more minute. Serve the burgers on hamburger buns with mustard and ketchup. I love the nutty meatiness of chickpeas. Perfect way to use them! I love how healthy that is. Love vegetarian burgers! 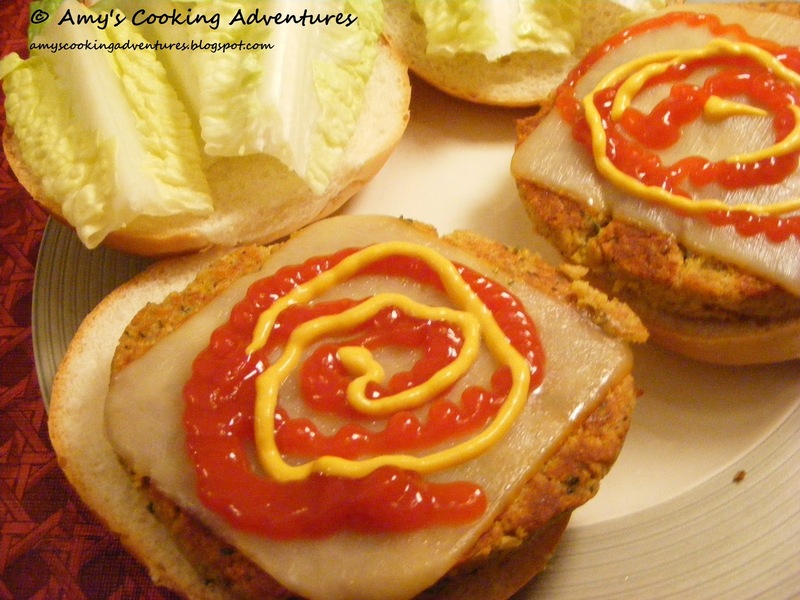 I've been trying to get better at making veggie burgers- these look great! thanks! I favorited this recipe. I am eager to compare this to other alternatives, but I am sure I will be pleased, as I have been with your other postings. What a great veggie burger! And yes! Spice is our friend! Chickpeas are a great meat replacer and I love their flavor. I will definitely be trying this soon! I made these recently too but with an Indian twist with some tomato chutney and a mint-yogurt sauce. We loved them too!